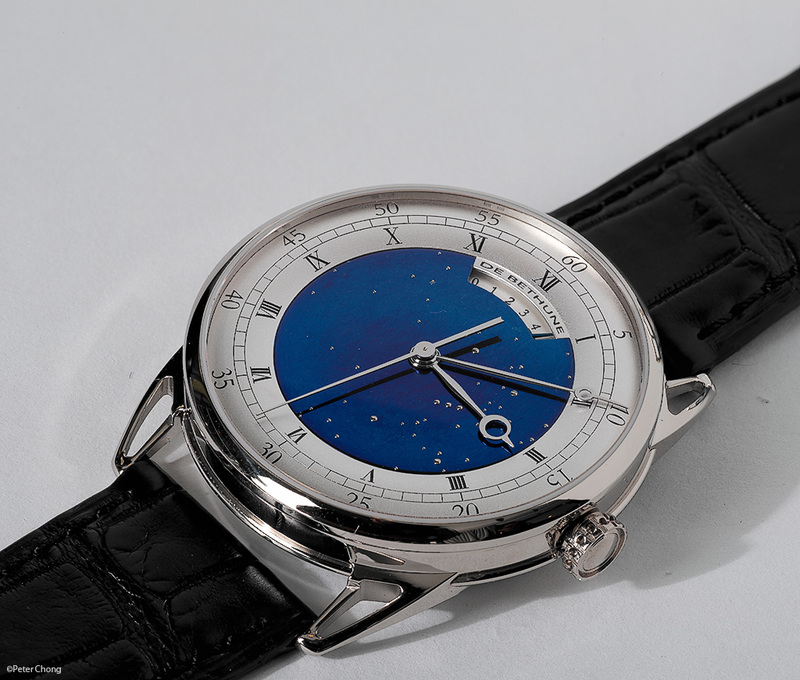 Sample photographs with the Leica S2 and APO MACRO SUMMARIT-S 1:2,5/120 mm: The Debethune DB25T. Following up on my walkabout impressions of the quite remarkable Leica S2, here are some photographs I made in L'Atelier by The Hour Glass using my usual set-up. 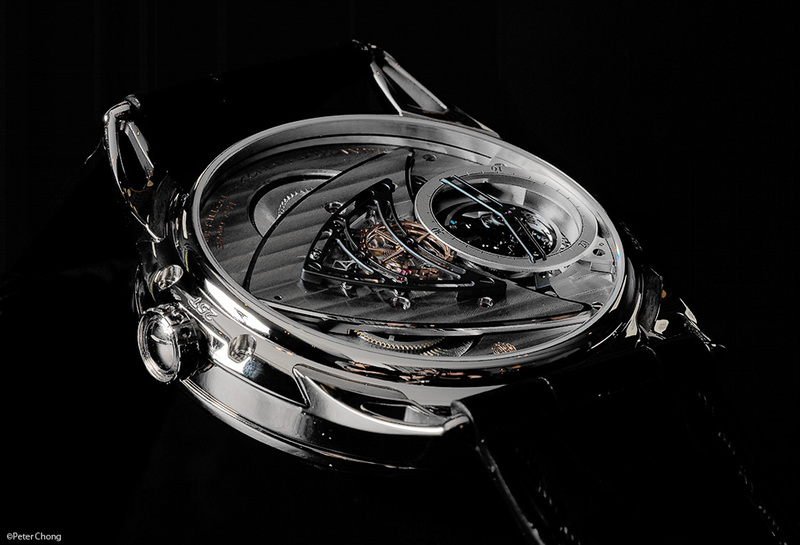 I have featured the Db25T before, it is a remarkable watch. I particularly love the jumping seconds hand, and the beautiful Caliber 2109 with the magnificent bridge especially for the seconds morte mechanism. With the APO MACRO SUMMARIT-S 1:2,5/120 mm, the largest aperture is f/2.5...a rather wide aperture for a macro lens. This, and the maximum magnification of half size leads me to believe that Leica intended this lens more as a portrait lens than a true macro lens. Most macro work is done with the lens stopped down. Almost all my work is done at f/11 or f/16. This is due to the fact that when you close focus a lens, its depth of field is narrower than focussing at a distance. To get a larger depth of field, macro photographers have to use advanced and complex techniques like focus stacking. The Summarit S focusses only to 1:2, meaning a half live size image of the object can be formed at the sensor. 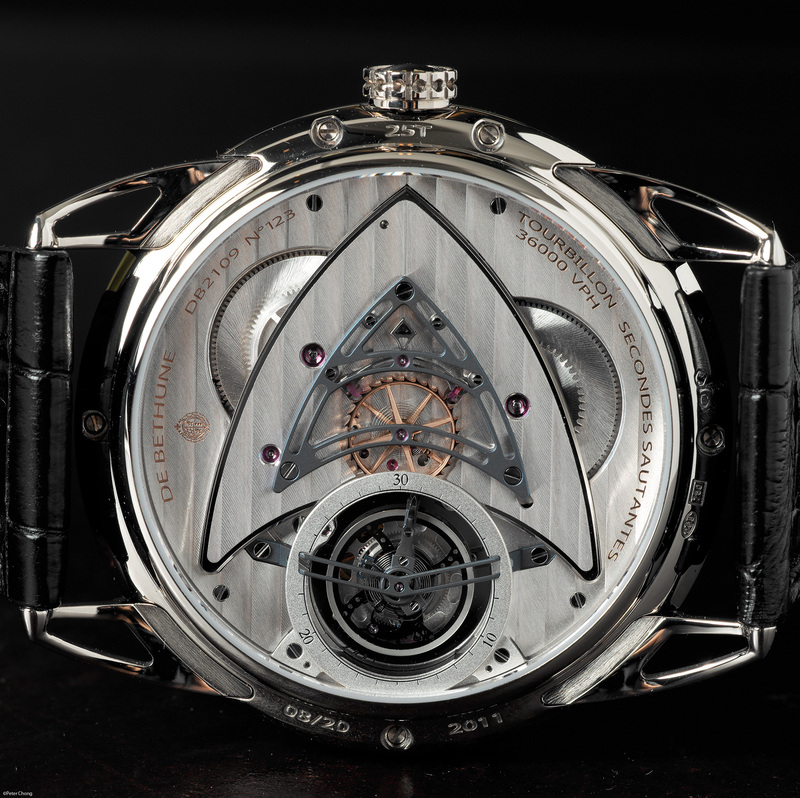 This limits watch photography to shooting the entire watch. Doing extreme macros like I often do in Watchscapes requires up to 2X magnification, and cannot be attempted with the Leica. However, I find the lens to be superb. Beautiful sharpness. Excellent rendering of details. And very nice contrast. The lens also draws beautifully...the bokeh is nice and creamy. The MTF of the lens reads like it was taken straight out from theory. The charts are spectacular and truly testament to Leica's capabilities to perfect glass. The movement...magnificent, beautiful. Stylised shield shaped bridge is very beautiful. And the jumping seconds bridge in blued titanium is certainly very nice.